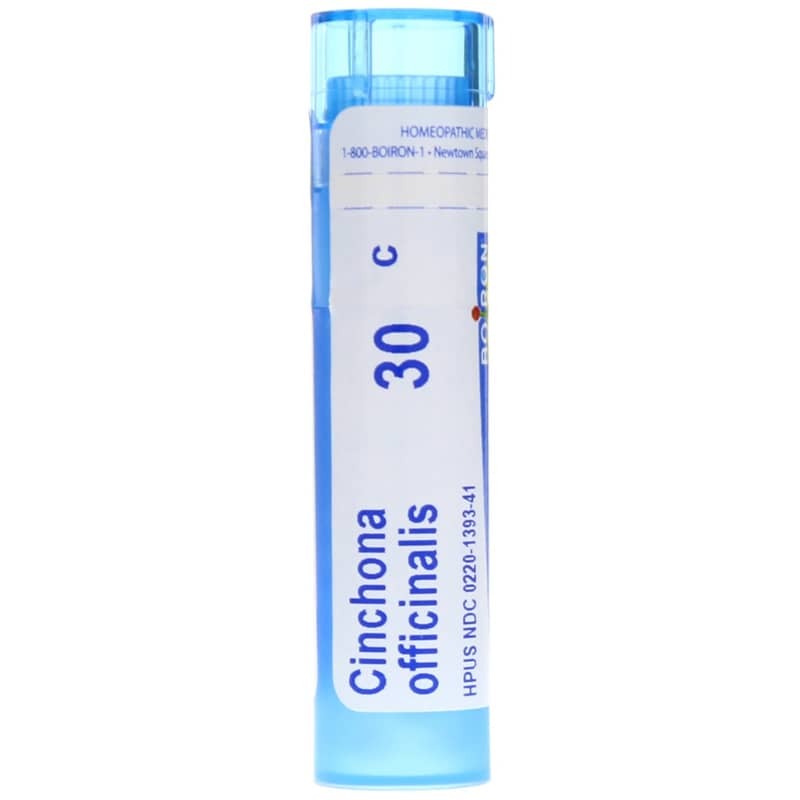 From leg cramps to digestive distress, get gentle homeopathic support with Cinchona Officinalis 30C from Boiron. 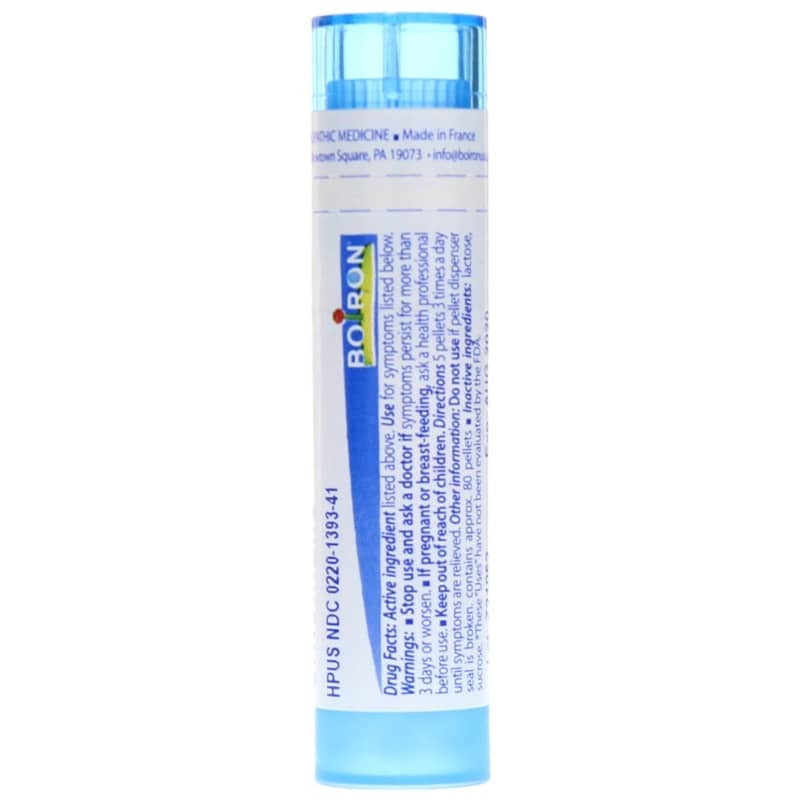 In easy-to-take pellet form, this homeopathic remedy contains cinchona officinalis, which is commonly known as qinchona or Peruvian bark and has been traditionally used to create the homeopathic remedy China. The official name for a tree that's native to the rainforests of South America, cinchona officinalis' bark naturally contains quinine and has been traditionally used as an antimalarial, digestive aid, antiparasitic, antispasmodic and fever reducer, and is conventionally used for malaria and leg cramps. Homeopathically, cinchona officinalis may provide temporary relief from symptoms associated with anemia, asthma, cholecystitis, fatigue, diarrhea, fever, gastritis, headache, IBS, myalgia and neuralgia, malaria, peptic ulcer and splenomegaly. Relying on the basic principles of homeopathy, instead of disrupting the body's natural systems, the highly diluted Cinchona Officinalis in this remedy helps to trigger the body's natural responses necessary to reinstate balance, working with your body instead of against it. Adults: Dissolve 5 pellets under the tongue 3 times a day until relieved or as directed by a doctor. Stop use and ask a doctor if symptoms persist for more than 3 days or worsen. If pregnant or breastfeeding, ask a health professional before use. Keep out of reach of children.